A Kotobukiya Japanese import! After the amazing success and popularity of the Iron Man, Hulk, Thor, and Captain America films, Marvel is preparing to unleash the greatest superhero team of all time in just a few short months. 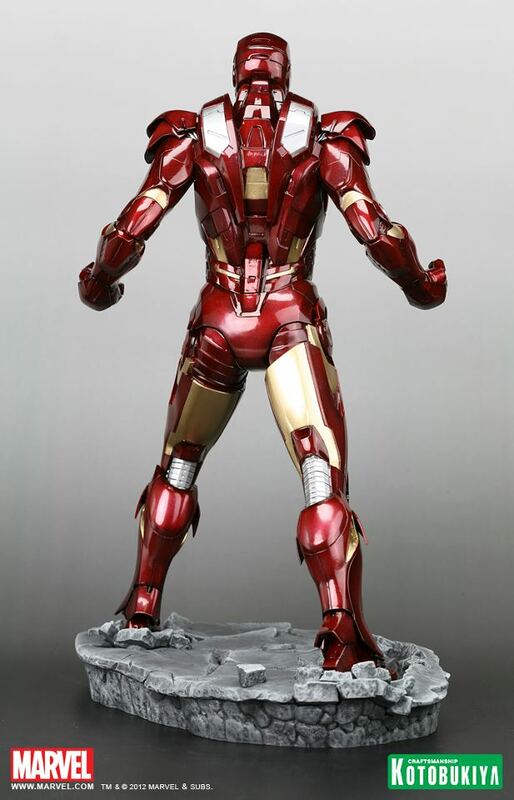 Gathering together the main characters of the previous films to defend the Earth from certain destruction, the Avengers will debut in May of 2012 with Robert Downey Jr. reprising his role as Tony Stark and his heroic alter ego Iron Man. 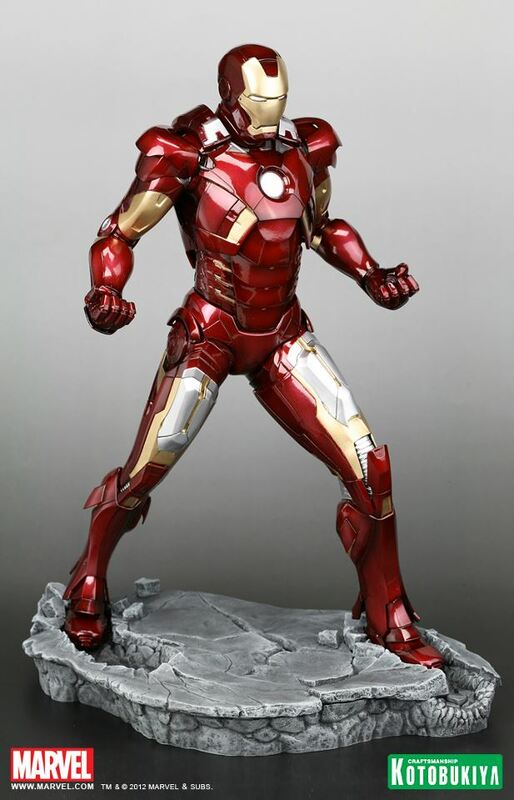 To commemorate the triumphant new appearance of this iconic character, Kotobukiya is proud to announce the all-new Avengers Movie Iron Man Mark VII ARTFX Statue! 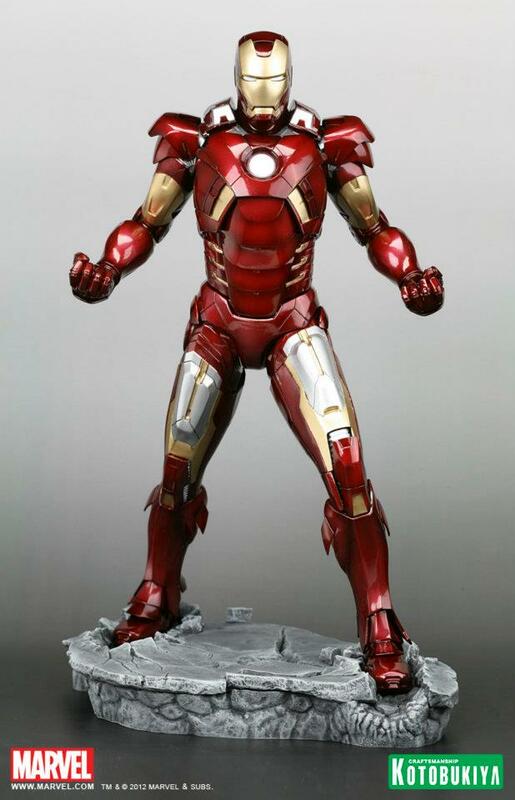 After surviving imprisonment by terrorists, billionaire industrialist Tony Stark created the Mark II armor suit. This was followed up soon after by the iconic Mark III suit used to battle Stane and his Iron Monger suit at the culmination of the first film, and the upgraded Mark IV armor in the sequel. 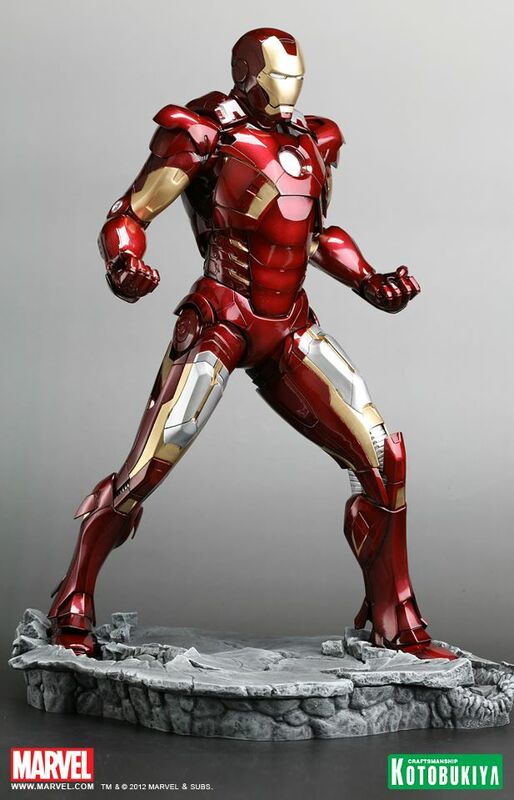 Never one to rest on his laurels, Tony has brought his science and technology to a whole new cutting edge with the Mark VII Iron Man, the most advanced high-tech personal armor suit on the planet. 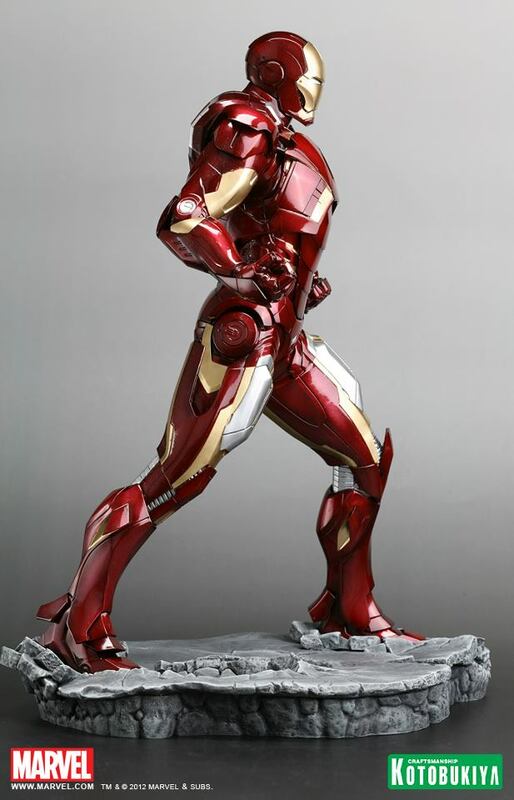 Using new 3D sculpting techniques, Kotobukiya has created the finest and most exciting ARTFX statue of any Iron Man, bringing more fine detailing than previous hand-sculpted releases for a more dynamic display. 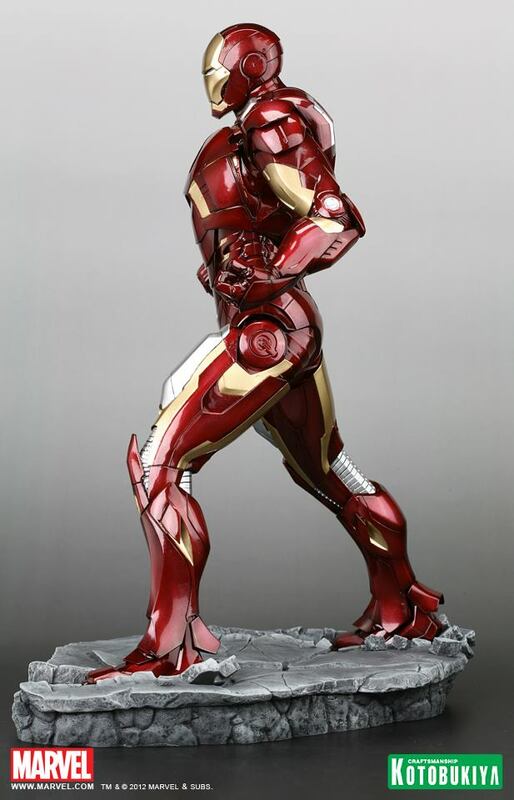 Tony stands in a classic Iron Man pose, legs planted and arms held back as he prepares to unleash a devastating strike. 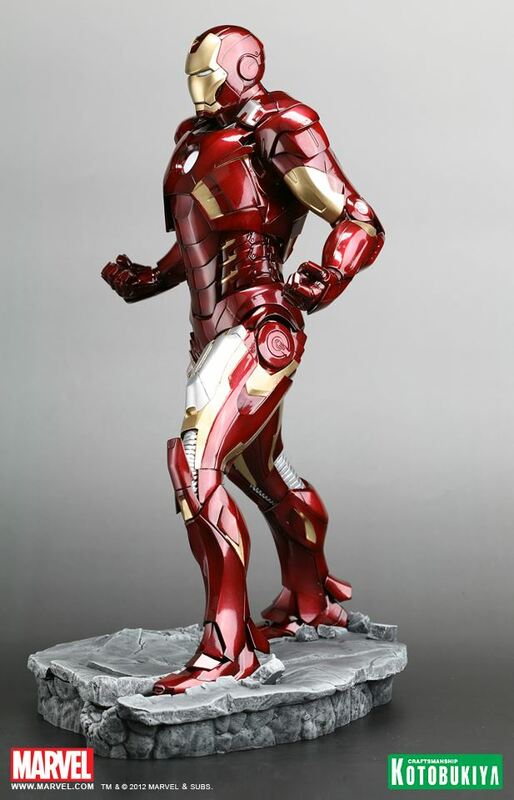 The incredible statue comes equipped with a three-mode LED chest light-up feature: off, continuous on, and triggered by the built-in motion detector! Iron Man’s eyes also feature continuous LED lighting in both modes. 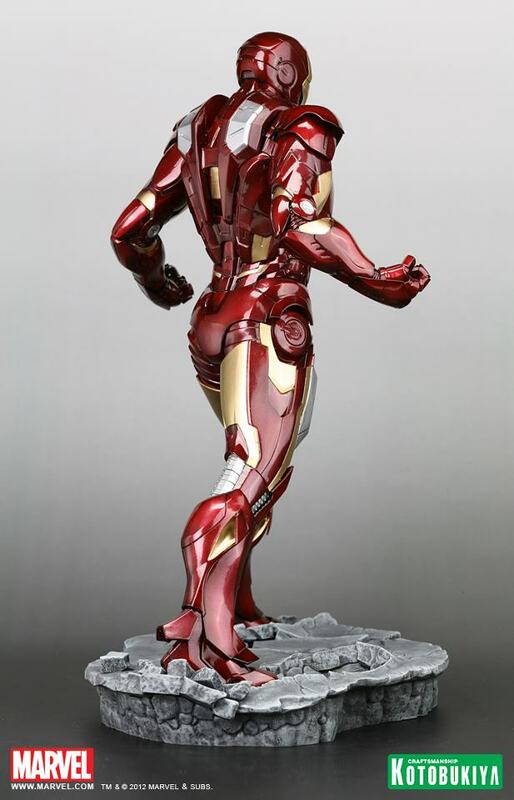 Iron Man Mark VII stands nearly 16 inches tall (1/6th scale) on an incredible shattered concrete base that bears the marks of furious battle. 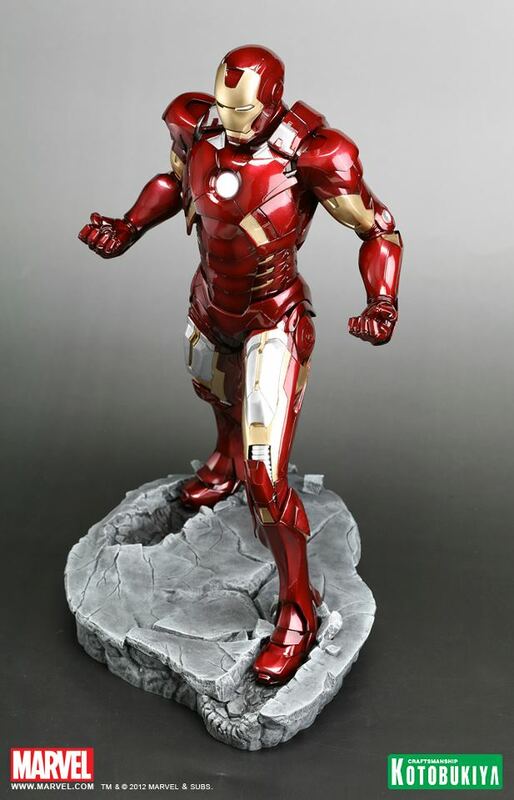 This pre-painted, snap-fit ARTFX Statue is easy to assemble so you can have your Iron Man Mark VII on display in no time. Avengers assemble!